Couldn’t make the Robideaux Report in person? Thanks to AOC Community Media, you can watch the presentation online. Lafayette Mayor-President Joel Robideaux hosted his second annual parish-wide address, the Robideaux Report, on the evening of Thursday, April 12 at the Heymann Center. During his presentation, Mr. Robideaux highlighted the administration's accomplishments and challenges from 2017, and also unveiled initiatives for 2018 businesses and capital from around the world. Read the recap. 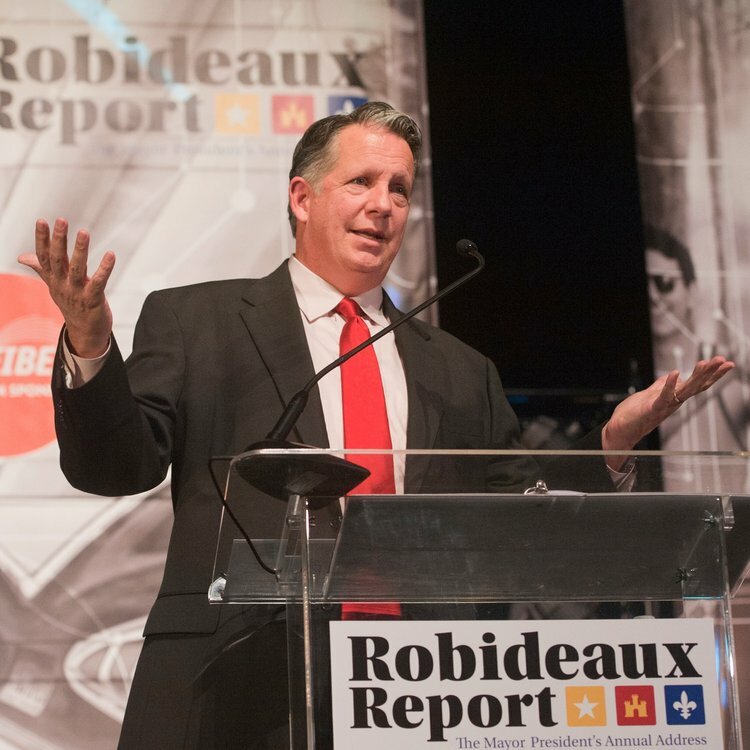 Missed the 2018 Robideaux Report? You can watch it online thanks to AOC Community Media. The theme of the Mayor-President's inaugural address was “Challenge and Opportunity.” At the event, he reflected on his administration's work since being sworn-in in January 2016. He also spoke about the challenges and opportunities we face as a people and a parish. Specifically, he shared his vision for accelerating the diversification of our economy by, in particular, leveraging our distinctive existing cultural and creative assets to attract visitors, businesses and capital from around the world. Read the recap. Watch the 2017 Robideaux Report online, thanks to AOC Community Media!